Jim Bob and Michelle Duggar have taken another child under their wings. His name is Tyler, and he is an extended family member from Michelle's side. At this time, the Duggars are choosing not to reveal the details of the situation that resulted in them receiving guardianship of Tyler. We encourage fans to respect the Duggars' wishes, especially since there is a minor involved. But when and if the family decides to share more information with the public, we will post it to our blog. In the meantime, here are a couple of photos of the little boy. He sure has a contagious smile! Are you going to put his picture in the header? He's part of their family now. probably not until it's definitely a permanent thing, as they're only his 'guardians' for now. I'm not so sure about that just yet. He may not be directly related, but I guess it's up to Lily and Ellie if he will be added. Maybe after the Grandduggars join the family. No need to change it more than once. Please don't, protect him from the public eye! I don't see why not, maybe wait until the Duggar family feels he's more comfortable (he's not exactly been thrust into the spotlight) but they have been granted permanent guardianship so I'd say he's part of the family! Cute little guy! He looks like he'll fit right in. And I agree. His smile is definitely contagious! 😁Bless the JimBob and Michelle for taking him in rather than going to a strangers home for foster care. God Bless them for taking him in. He will probably be needing a lot of Love, and lord knows that the Duggars will provide that for him!! Can't imagine how his mother feels about all this. I hope someday they can be reunited, legally. She agreed to it (and the previous placement with another relative, which ended for health reasons) and has better access situation than if he was with unrelated foster family. I think this is wonderful how you have brought this family member in to care for him. Just one piece of advise. Since you don't want any questions ask I feel and not being negative just honest I feel his picture, name should have never been mentioned or posted. It just brings curiosity to all and people are going to try and find out. Totally agree... if his situation is to be guarded then he should have never been mentioned. Caring, I agree. And whatever the situation that he was removed from his original home cannot be easy for him to deal with. He should be allowed the space and time to heal, not thrust into the public eye. I wish them all well. I'm quite concerned this family does not know how to keep anything at all private, especially in this case to protect the child from the public, the media, etc. In light of the situation that probably brought him to their home, he should not have his picture out there. Why aren't they protecting him??? This family has done EVERYTHING they can to keep their business private. People they don't even know release things without their permission constantly! Everyone should judge a little less and think a little more, everyone has their own life and experiences, some of the things you go through in life are difficult and sometimes not very pretty. NOBODY can say their life has gone PERFECT. I've basically grown up with the Duggars, and it hurts me to watch people try to tear their family down and judge them for things they cannot control. Michelle and JimBob are INCREDIBLE PARENTS, they deserve some respect instead of everyone judging their decisions. Try being in any one of their shoes and then ask these questions. Like I said before, this family has done EVERYTHING IN THEIR POWER to keep their private information private. You can't say they don't know how to keep their lives private when they have nothing at all to do with most of the information that is released about them. Stop judging others and stop worrying about what the Duggars do in their private life, start thinking about what you can do to better your own life, NOBODY is PERFECT, and people need to start realizing it. I grew up in the foster care system and was bounced around from house to house, a lot of them were terrible places to be with people that just did it for the money. Yes, I do hope that fans respect the family's privacy. In response to Beth K. While I do agree privacy should be respected for this child, you say you want the fans to respect the familys privacy. Why do you feel its okay that the parents violate the Duggar kids privacy for money? I don't think its the fans you need to worry about!! I have to agree with Anonymous. I can't understand reality show parents making the decision to violate their childrens' privacy. Awesome! Can't think of a better family to be brought into! God bless him. He is beautiful. It is very generous that they are taking him in and giving him a (hopefully) loving home. Being fostered/adopted is a traumatic experience for a child who has had to leave their home and family. I hope he is getting the adequate attention and emotional support he needs in a household with so many people. Children also deserve to be provided with the opportunity to experience life and make their own choices as they come of age. We know this is not the usual way of things with children raised in the Duggar home. I hope this child will have the freedom to make his own decisions about life as he grows up. If you don't mind my asking, how old is Tyler. If that's to personal of a question I'm sorry. OK, won't comment on what has already been disclosed about that child, but I will say I hope that was the last of the milk, and the jug went in the recycle bin, not back in the fridge for someone else to find! Ugh. I discourage that jug-drinking behavior around here. If you look at the jug you can see the shadow where the milk is, almost empty, maybe a couple of swallows left. He looks like a Duggar! Have they adopt adopted him or is he more of a foster child at this point? It sounds like for the moment, they are guardians. Probably more of a foster child. They have become his legal guardians. He is more of a foster child at this point. He has not been adopted. Wonderful! Now for the critical fans who complain that the Duggars talk about adoption but never do anything about it, time to leave the issue alone! It was always in their heart and they were trusting Gods perfect timing and leading. I so admire the way they trust God and his ways. This was not an adoption! Please don't speak of it as if it were. They did not adopt; they have legal custody only. It's the grown kids who have been talking about adoption but not doing anything about it. Besides, this child was not adopted, as was stated. Your attempted dig at the "critical" fans is premature, sorry. I don't think adoption happens in 5 minutes. Pretty sure it's a long process. What a happy boy with a beautiful smile. I know he is surrounded by a family filled with love. I just love the huge Duggar heart. HI tyler! What a loving and Christian family you've joined.. can't wait to see all that the Lord has in store for you. Enjoy this time in your life. Bless you. Tyler shouldn't have to be a Duggar. If he was in foster care he has had a hard enough life. He needs to be in a home where he can get the love and support he needs. The Duggar children are just numbers. No individually allowed and no time for parents to love their children. It is nice that they decided to share a photo of him with us, at first I did not think they were going to for his privacy sake. Looks like a sweet boy that fits in well ! God Bless ! His story is at least partly known, he was mentioned before, now if people can just be satisfied with that and move on as he is just another Duggar, that does deserve some privacy, then all will be well ! He is not a Duggar. They are his legal guardians, for now. how old is he? he looks a bit bigger then michael. so happy for the young fellow and the whole clan! God bless! I do same thing Tyler. I love milk. He amazing and I happy he with you guys. God big blessed you all. Wishing him well. Bless you for taking him in. 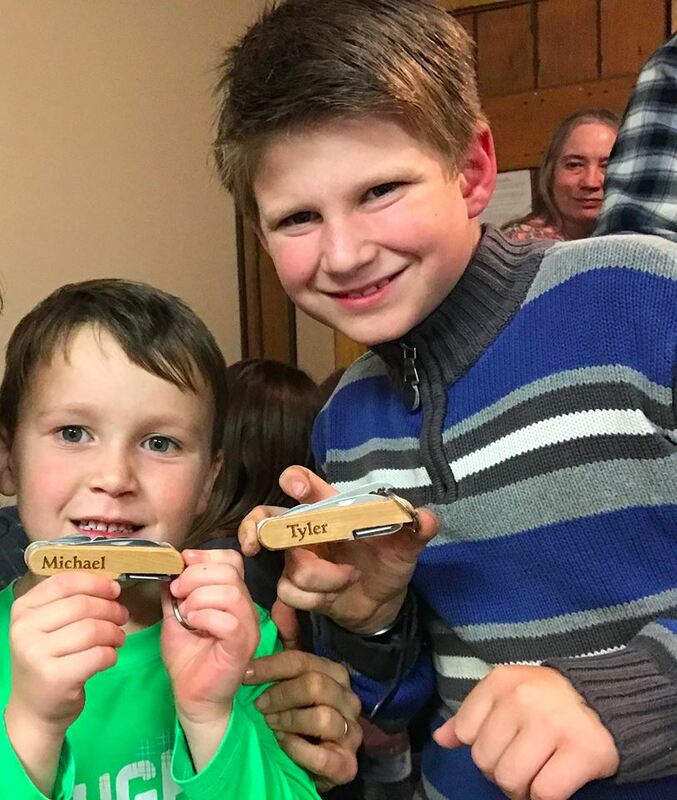 In loving response to Caring's post..Tyler is a part of the Duggar family now, fully adopted. How wonderful! Therefore, his name should be mentioned and his beautiful smile posted as he is just as much a beloved family member as all of the other Duggar children. Why should he be excluded from posts, his name never mentioned? He is their brother and son. I can tell that you are very caring about his privacy and that is so kind, but to exclude him completely, I would think, would have him feel different or 'hidden'. He is equally loved. I though they had received guardianship of him, not that he is adopted? I wish I knew where in this post that was said that Tyler was "fully adopted"! It says that "At this time, the Duggars are choosing not to reveal the details of the situation that resulted in them receiving guardianship of Tyler." I just wish people would read the posting instead of assuming!! Tyler couldn't of went to a nicer family, he sure won't be lonely. That is great! He seems to fit right in. God bless Tyler and the rest of the Duggars! What Godly special people!! Tyler is blessed to have them as they are to have him. Also I am shocked by how big Michael looks - wow he has grown. Really wish we fans were privy to ALL the Duggars - they have become like family and it seems that part of the family has been taken away. Michael is waaaay too young for that pocket knife. They may figure that out after he cuts himself a few times trying to open or close it. I'm way older than Michael but knives still perplex me when I try to open one. Nobody should have a pocket knife. Guns and knives should be banned except for the military and police. Does that include the butcher steak knives I have in my kitchen? You know that pocket knives can be used for many practical reasons, right? Terrorists use trucks to attack people. Should just the government have trucks too? Even if the adult Duggars do decide to share this child's circumstances, and I sincerely hope they do not, please don't share those details on your blog. This boy is a minor, this story is his alone to share, and should not be fodder for public consumption. Regardless of what the adults in his life decide to reveal about his circumstances, I urge you to respect his privacy. Unless the Duggars have officially adopted this child, I question the wisdom of violating his privacy by posting his photo and name on social media. Hopefully, they have competent legal counsel on this matter. I don't understand how the Duggars can allow this. Don't they see the bad consequences this could have on this young boys future??? It's been so long since we've seen a picture of Michael! He's gotten so big--I didn't even recognize him. I agree with "Caring". If the family doesn't want publicity about the "whys and how comes" about this situation, why post about it and bring attention to it? There are so many of them in this household, they don't have to post any photos which include this child. We already know the circumstances regarding this boy as they are public record through the court system. This boy deserves as much privacy as he can get and with this family, he won't get it as they are publicity seekers, IMO. I agree, it is so worrying and I would have thought the Duggars would have understood this. If they wanted privacy for this boy due to his circumstances, the court picked the wrong family. I guess the Duggars don't care to keep it private, which is unfortunate for the boy. 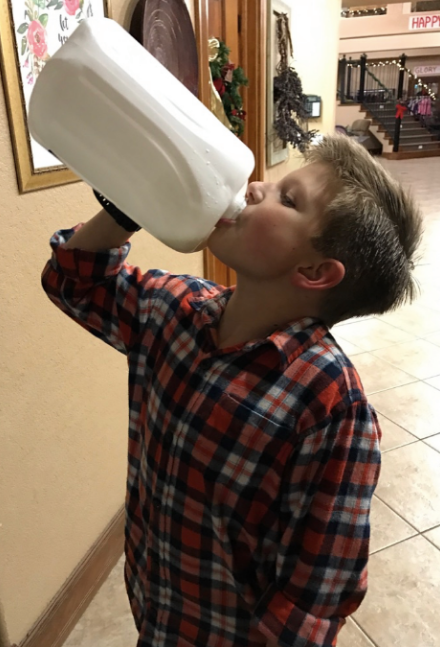 He may think getting the Duggar type media attention is cool, but he's not old enough to understand what exactly is happening, and how it could harm him in the long run. They keep their pets more private than this child! He's going to have a lot of playmates! I feel pretty wary about the Duggars, and others including the media and this blog, sharing information about this child. Even if he's legally been adopted, his story shouldn't be exploited in any way. Even if I might be curious, I'd rather not see his personal life pop up anywhere online, even if it comes from the Duggars themselves. Family/group photos are one thing, but singling him out, sharing his age, etc., is too far for me. I'd rather not see anything else about him here and I hope the Duggars do not choose to have him featured online or in their show. I agree completely. As the mother of an adopted child, I have to caution the Duggars to please be more sensitive regarding this child. Please please. But also think about what it could & would do to Tyler if they don't include him in every aspect of their lives like they do with all the other children & grandchildren. This child has not been adopted by JB and Michelle. They have been granted custody. There's a difference. Thanks for stating that. I wish others would understand that, too, and stop giving accolades to the Duggars for "adopting." I'm wondering about the boy's father, and if child support is being paid. Or do minors get some sort of government support when legal custody is given? Parents who know about this kind of situation, chime in and educate us. He is a family member and he has not been adopted. Custody has been granted. They already knew this child, obviously, so there's a big difference between this situation and adopting a child that you are not related to at all. All the best to this young man. It never ceases to amaze me what this family chooses to share with the world and what they choose to be secretive about. Best wishes to Tyler in what must be a difficult time in his life. You all are very amazing people. He is lucky to have you I also have taken in my nephew. What family member of Michelle's could not take care of him? Michelle's sister is his grandmother. She had custody until she had a stroke. Meet him, but don't meet him.?? What's the point, ladies? Very well said & so very true...Thank you. I hope nobody drank out of that milk container after he did. Disgusting! Tyler looks happy and well adjusted. Michael has grown so much. Is Tyler sleeping with 9 strangers in the male dormitory? I hope not. What exactly bothers you about this? While the Duggar kids may have been strangers to Tyler when he first came to live with them, he has been there a while now and from the pictures it appears he is very comfortable there. He was not a stranger; he is a relative; he and his parent and grandparent have had an ongoing relationship with the family all along. And he continues to have time with all of them. Just clearing up rumours; the boy is NOT adopted and is NOT in the process on being adopted. He has a mother; although its none of anyone's business why she can't look after him. The duggars were awarded custody (custody and adoption are completely different) as noone else can. I also could be wary about posting his name and pics etc as legally he should be kept private. He is blessed to have you. The world needs more people to step up and foster/adopt. Our experience with foster/adopt has had many interesting challenges. Rise above those that judge. You are a blessing to Tyler, and his presence blesses your family as well.